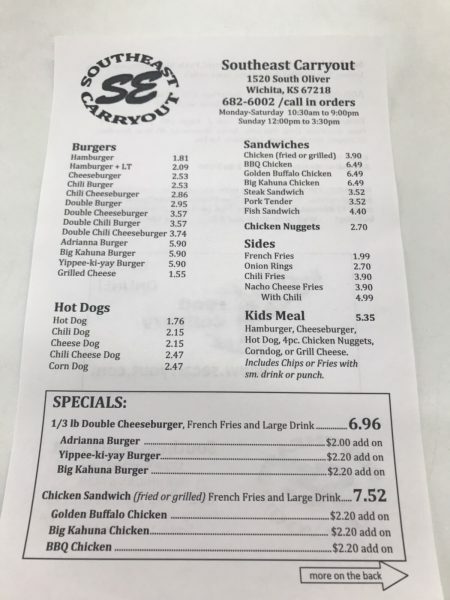 Southeast Carryout offers upgraded menu after ownership change – Wichita By E.B. Southeast Carryout has been a staple at Harry and Oliver. 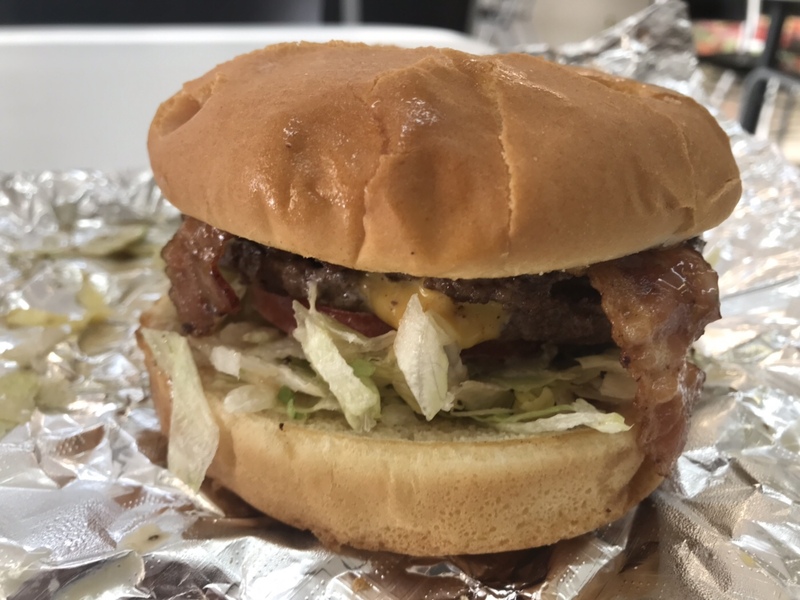 Often times you’ll see nearby neighbors, high school students and people coming in from Clapp Golf Course for a delicious burger. 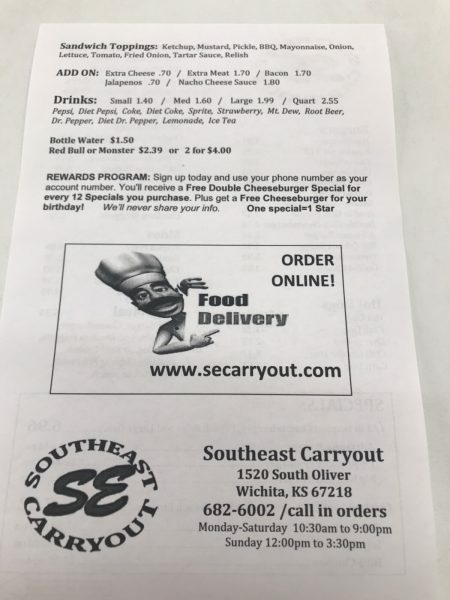 Within the past year, Southeast Carryout has gone through an ownership change. 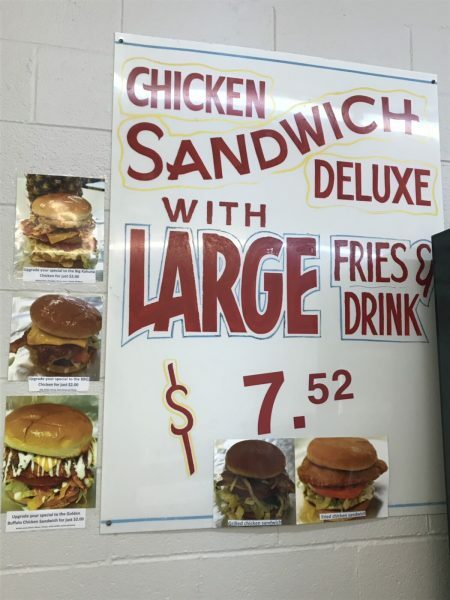 With that, Southeast Carryout went through some upgrades including an expanded menu offering. A couple of easy changes you’ll notice is the additional seating out front. That’s especially nice for days like we are having currently where it’s overcast and cool. The second change is the hours. They now open at 10:30am. I sometimes wonder why restaurants open for lunch at 11am. I think opening at 10:30am is so much better because there are people who would like to get in right before the 11-12:30 lunch traffic. My brother was the one who originally told me about the menu changes. He tried the Yippee-Ki-Yay burger and Adrianna burger. While he loved them both, his preference was the Yippee-Ki-Yay burger noting the BBQ sauce was just excellent. Since he tried two of the three new burgers, it made sense for me to go in and try the Big Kahuna Burger. The new burger was certainly one to enjoy. It’s massive, juicy, and very flavorful. There’s so much going on with it but it works. The pineapple and spam worked really well with the Big Kahuna sauce and made for a wonderful meal. 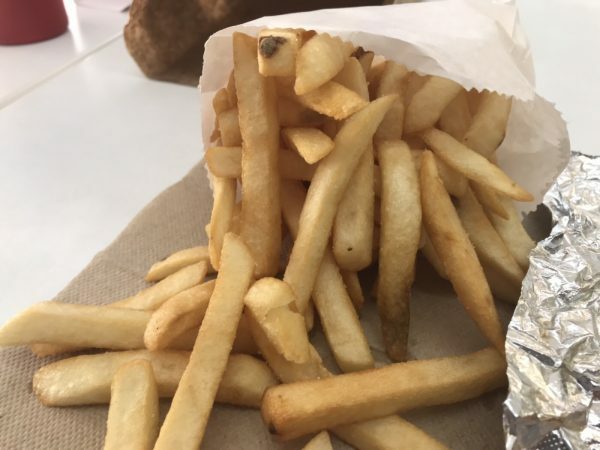 My only gripe was the bun as it completely fell apart while eating and barely managing to keep it all together. Otherwise, it would have been a perfect experience. 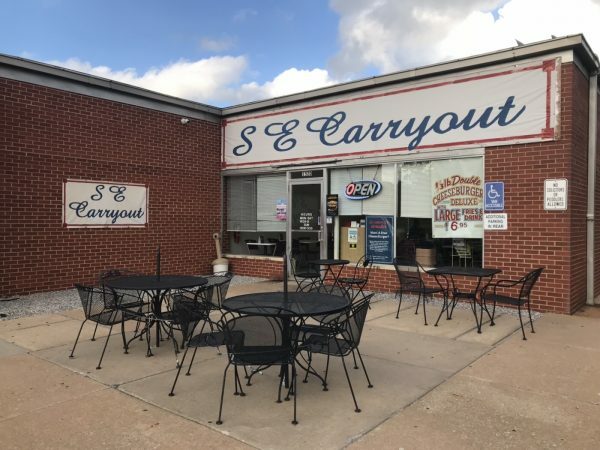 Regardless, I’ve always been a big fan of Southeast Carryout. 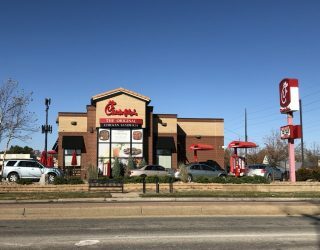 The new changes like the seating, free refills, and burger add-ons are a warm welcome and worthy of your consideration. 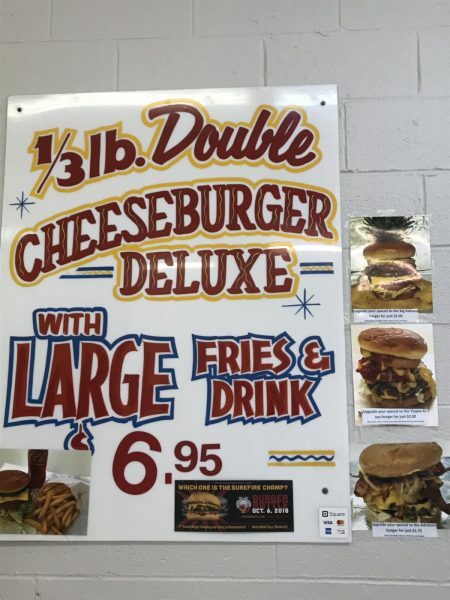 For the regulars, they also have a new rewards program that gives you one free burger with the purchase of twelve specials. I did meet the new owner and he was incredibly friendly and all smiles to every customer that went in. He had no idea who I was or coming in for a review, so it was nice to get an authentic look at how he was with everyone.